Music annotator and scholar, Mark Kluge has been awarded the Bruckner Society of America's highest honor - the Julio Kilenyi Medal of Honor. 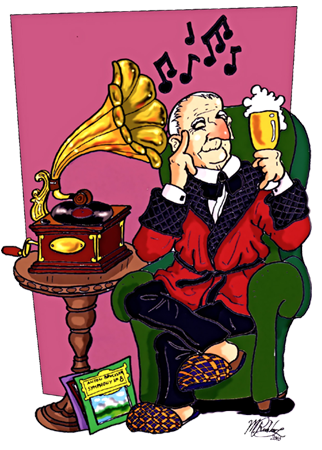 Mr Kluge is best known for his insightful and well-researched essays that have accompanied recordings released by Music and Arts and Warner Classics. Some of the best examples of his work can be found in the Hans Knappertsbusch set on M&A 1256; the Volkmar Andreae Bruckner set on M&A 1227, the Bruno Walter / Bruckner Fourth and Ninth on M&A 1262 and the F. Charles Adler set on M&A 1283. 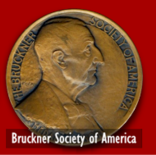 In presenting the award, Bruckner Society President, Benjamin Korstvedt stated that, The board is awarding the Kilenyi Medal to you in recognition of your important, indeed pathbreaking, work as a historian of Bruckner recordings and performance styles. The many exemplary essays you have contributed to various periodicals and those that have enriched numerous important reissues of classic Bruckner recordings by Furtwängler, Knappertsbusch, Jochum, Walter, Adler, and Andreae are models of lucidity in prose and thought. 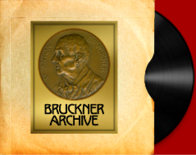 These writings, which are scrupulous in their accuracy and draw upon the latest scholarship, have done much to educate the music-loving public about the often complex issues that surround Bruckner editions and performance practices. For this, the Bruckner community owes you both admiration and gratitude.